Battle for Etheria DVD On Sale Now! 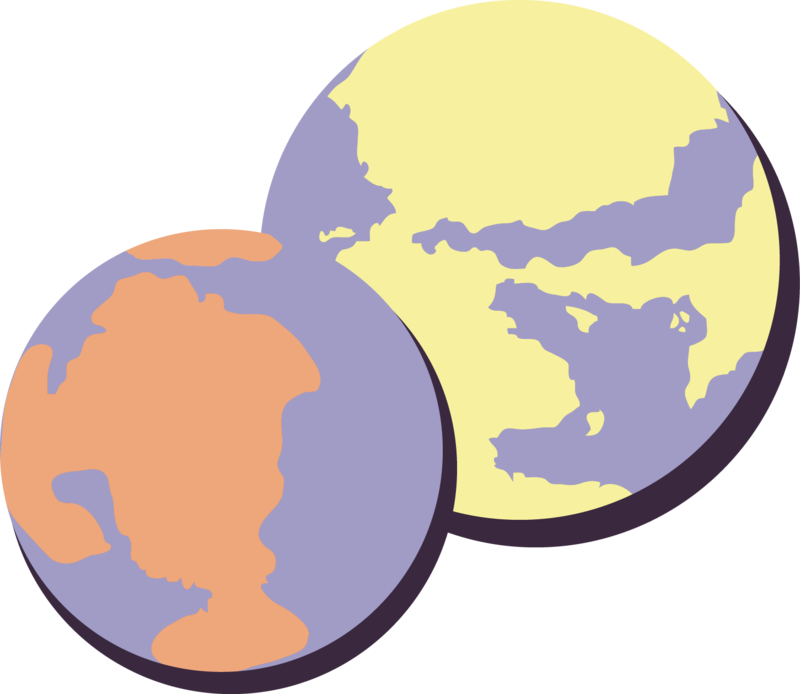 “Masters of the Musical Universe: Battle for Etheria” ran for just one weekend that jam-packed hundreds of theatre-goers into five sold-out performances at The Headwaters Theatre in September 2016. Now, you can experience it in your own home! For a very limited time, we will be selling a DVD of the show through our website. Don't wait: DVDs will only be available through June 24! For international orders, please inquire. 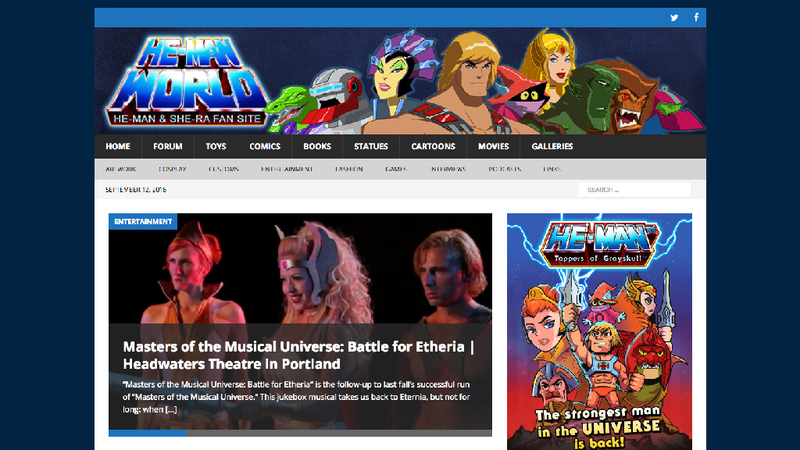 The good people at He-Man World featured us on their page: check it out! 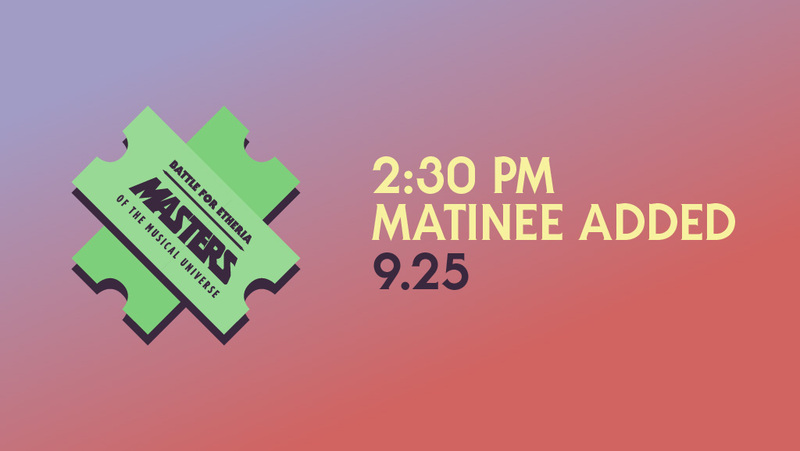 We're excited to announce that due to popular demand, we've added a 2:30 pm matinee on Sunday, September 25, to our run of "Battle for Etheria!" We encourage purchacing advance tickets online, as the run will most likely sell out. Tickets for this show are on sale now. 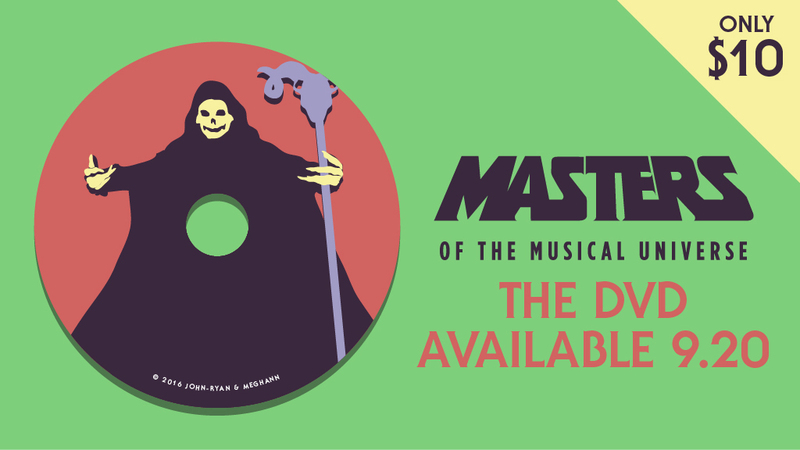 In November 2015, "Masters of the Musical Universe" debuted at The Headwaters Theatre for a brief, one-weekend run. The show was called "electric" by Simon Springer of hemanworld.com, and delighted fans of the 80s cartoon for its four sold-out performances. For a very limited time, we will be selling a recording of the show on DVD exclusively through this site. Quantities are limited to 50 copies, so don't delay in purchasing yours! $10, plus $3 domestic shipping. For international orders, please inquire. 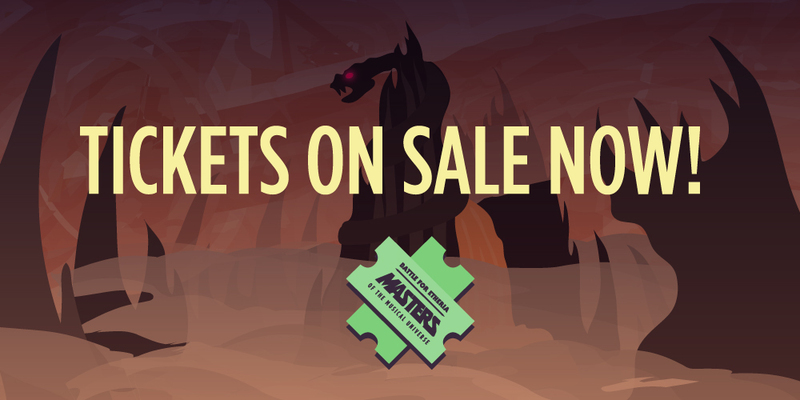 Tickets are now on sale for Masters of the Musical Universe: Battle for Etheria! Purchase your tickets now, before they sell out! $15 in advance (not including service fee), $20 at the door. 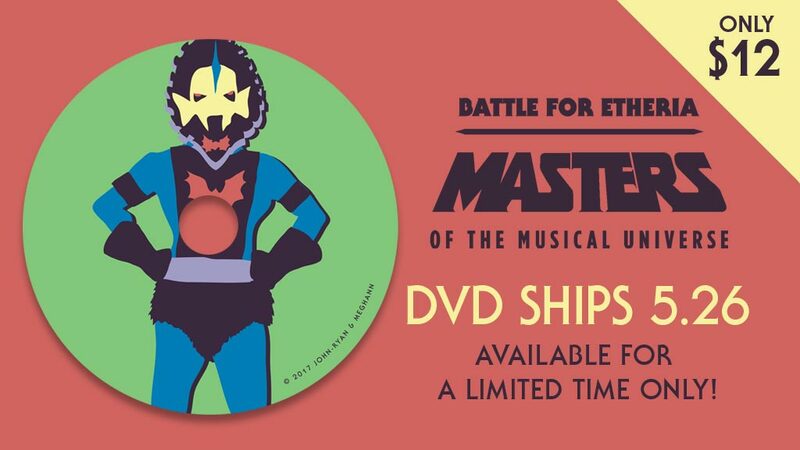 "Masters of the Musical Universe: Battle for Etheria" is the follow-up to last fall's successful run of "Masters of the Musical Universe." This jukebox musical takes us back to Eternia, but not for long: when He-Man learns his twin sister needs his help on Etheria, he quickly rushes to be by her side as she fights Hordak and his gang of thugs. Without He-Man on Eternia to guard Castle Grayskull, Skeletor quickly hatches a plan to conquer it once and for all. "Masters of the Musical Universe: Battle for Etheria" stars Nick Dent, John Branch, Maya Papaya, Melissa Hanson, Kellee Korpi and Alex McCracken. The show is directed by John-Ryan Griggs and Meghann Trause, choreographed by Geoff Wishart, and runs at The Headwaters Theatre September 22-25. Thanks to Jim Kennedy at Trent Edward Salon in Lake Oswego for the He-Man hair! © 2016 John-Ryan & Meghann.